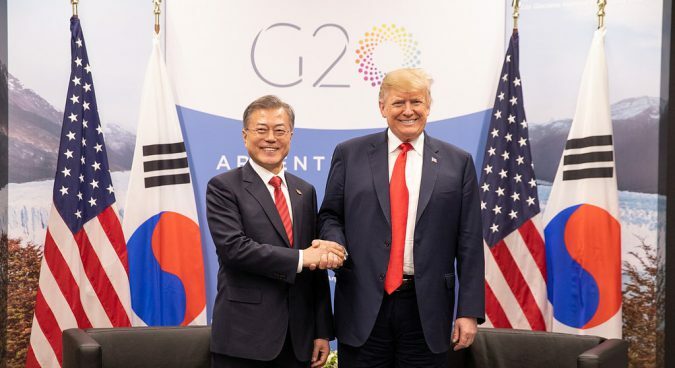 The recently-announced downgrading of the Trump-Moon bilateral meeting at the G-20 summit in Buenos Aires, Argentina to a “pull-aside” is just the latest indication that the bloom may be off the rose with regard to Washington’s enthusiasm for President Moon’s engagement policy with North Korea. President Trump’s last minute decision to ditch Russian leader Vladimir Putin entirely in Buenos Aires may indicate further that, with troubles mounting at home over being too cozy with authoritarians like Putin and Saudi Crown Prince Mohammed Bin Salman, having another tea with North Korean leader Kim Jong Un may not seem as auspicious as it once was. There has also been a growing chorus of criticism in the U.S. that rushed engagement with North Korea has produced few concrete results. This criticism is likely to further escalate as skeptical Democrats take over key foreign policy and defense committees in the House in January. Another subtle change in the Washington power structure is the re-emergence of North Korea hardliner John Bolton as National Security Adviser earlier this year. Those who have followed Bolton’s career in the State Department and the United Nations find it hard to believe that he would be an enthusiastic advocate for making concessions to Kim Jong Un. 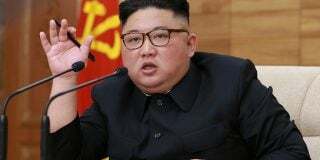 He seems to be holding his tongue for the moment with regards to North Korea, in deference to President Trump’s summit diplomacy. Few doubt, however, that, if an advantageous opportunity arises, Bolton would seek to scuttle unilateral concessions such as a cancellation of military exercises. He is, for the moment it seems, keeping his powder dry. Euphoria, of course, gripped Seoul policy makers back in February after the back channel breakthrough with First Daughter Ivanka Trump at the Winter Olympics closing ceremonies. 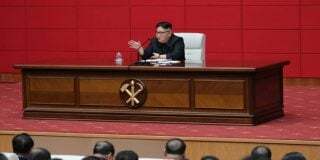 This was almost immediately followed by her father the President’s sudden reversal of his largely hostile North Korea policy and announced intention to engage North Korean leader Kim Jong Un. Things then advanced with almost dazzling speed, including two DMZ summits between the South and North Korean leaders in April and May. These, in turn, helped pave the way for the historic Trump-Kim Jong Un summit in Singapore in June. The “moonshine” policy of engagement with North Korea continued full speed ahead after Singapore. Another round of reunions of families separated by the Korean War took place at Mount Kumgang in North Korea in August. 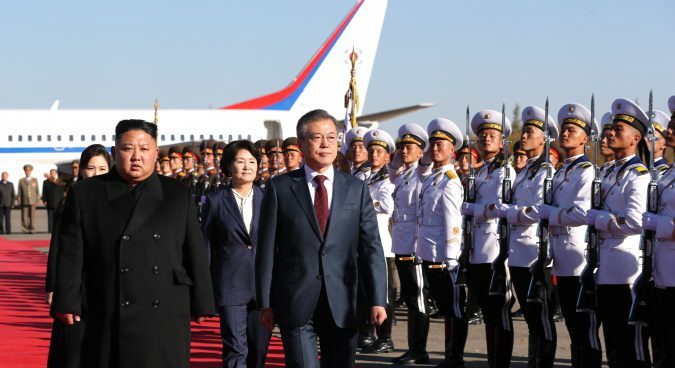 President Moon Jae-in then followed in the footsteps of his mentors, former South Korean Presidents Kim Dae-jung and Roh Moo-hyun, by making his own trek to the North Korean capital of Pyongyang for a September summit meeting which included a rather unprecedented bear hug from Kim Jong Un. The seemingly tireless Moon Jae-in, a practicing Catholic, then added icing on the cake by traveling to the Vatican in October to reportedly personally convey an invitation to Pope Francis from Kim Jong Un to visit North Korea. Despite a statement by Moon’s press secretary, according to Yonhap, that the pope said he would accept — “If an (official) invitation arrives and I can go”– a Papal North Korean visit in the near future seems highly unlikely. Pope Francis has bigger fish to fry in communist Asia. North Korea’s large neighbor and ally China has been negotiating a new relationship with the Roman Catholic Church. Pope Francis would surely make a visit to China, where there is actually a community of practicing Catholics, both patriotic church and underground, a priority. Other human rights advocates have objected as well, opposing negotiations with an authoritarian regime that carries out a policy of religious persecution. If China is not a particularly good place to be a Christian, it pales in comparison to the torture and martyrdom that befalls the miniscule underground church members in North Korea. Seoul may not wish to hold its breath waiting to see the Vatican banner flying over Pyongyang. And not so fast as well in dealing with a volatile U.S. administration. 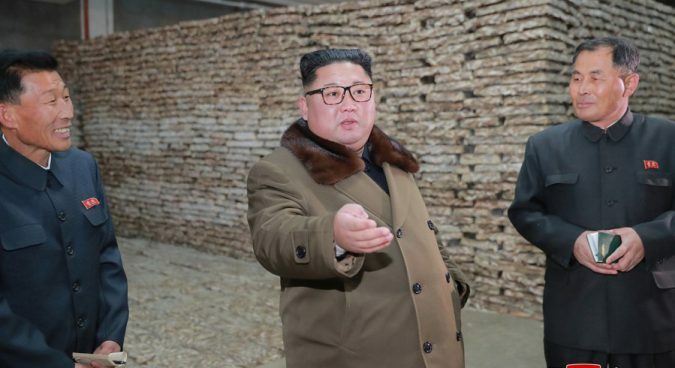 Seoul is, after all, now playing in Trump world where policies can turn on a dime and today’s friend may become tomorrow’s adversary – à la North Korean ally Xi Jinping. President Trump’s approach to diplomacy, along with most policy, seems to be largely transactional – what’s in it for me? If President Moon’s policy approach coincides with President Trump’s personal interests then all will be well. But once there is a divergence between Seoul policy and Trumpian interests, the house of cards could come tumbling down. 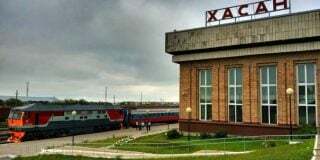 With the latest post-mid-term election developments, including the Democratic blue wave that captured the House and brought the return of divided government, the repercussions of the firing of Attorney General Jeff Sessions, and ex-Trump attorney Michael Cohen’s guilty plea, President Trump was reportedly totally fixated on the Mueller investigation – and not foreign policy – en route to Buenos Aires. While President Moon will have a chance to speak with him, the likelihood is that his words will go in one ear and out the other – unless he can somehow link a potential summit with Kim Jong Un to a positive change in President Trump’s falling polling numbers back home. One should recall, however, that going to China did not save Nixon during Watergate. Unfortunately, the only means left to bring North Korea policy in from the cold may be up to Kim Jong Un. The equally volatile “Rocket Man” in Pyongyang may decide to launch yet one more rocket to draw President Trump’s attention away from Mueller, the Democrats, Manafort and Cohen. Subscribe to read the remaining 1193 words of this article.